Nestled on the beach, this Swakopmund hotel is within a 10-minute walk of Swakopmund Beach, Swakopmund Lighthouse, and Swakopmund Museum. Marine Memorial and Kristall Galerie are also within 15 minutes. 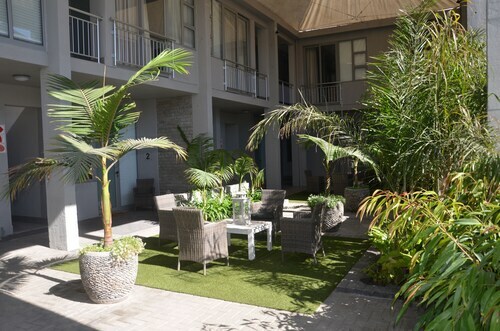 Situated in Swakopmund, this apartment building is within a 10-minute walk of Swakopmund Beach, Kristall Galerie, and Old Country Court. Marine Memorial and Swakopmund Lighthouse are also within 10 minutes. 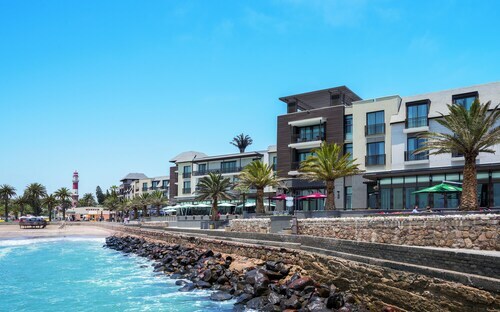 Offering direct access to the beach, this Swakopmund hotel is in the city center and within a 5-minute walk of Swakopmund Lighthouse and Swakopmund Museum. Swakopmund Beach and Marine Memorial are also within 10 minutes. 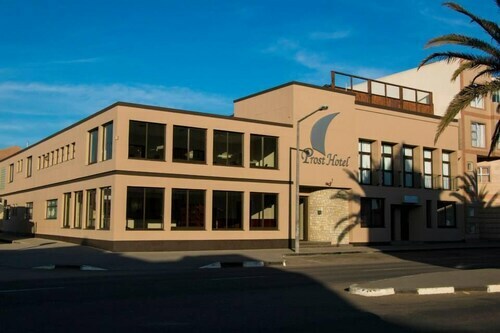 Located in the heart of Swakopmund, this hotel is within a 10-minute walk of Hohenzollernhaus, German Evangelical Lutheran Church, and Alte Kaserne. Marine Memorial and Swakopmund Lighthouse are also within 10 minutes. 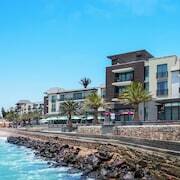 How do I book spa accommodation in Swakopmund? 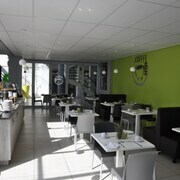 Q: How many spa hotels are there in Swakopmund? A: There’s 109 hotels with spas for you to choose from. A: Yes! Read reviews from your fellow Wotif travellers to help you pick out the best spot for your getaway. 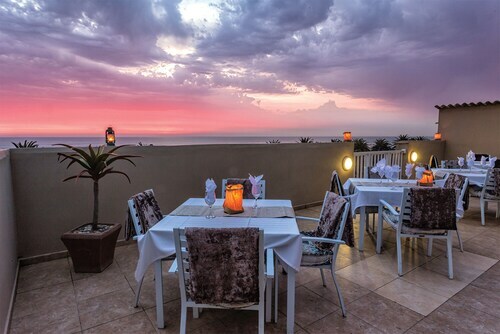 A: You can score Swakopmund spa accommodation for as little as AU$98 per night. Wotif makes it easy to find the perfect spa getaway. Once you’ve picked out the place that has the treatments you’re after, you can even browse by price; some places have rates starting at AU$98 per night. That should leave you with plenty of dollars left over for another hot stone massage!